Home / Prints / General Lee, Hot Pursuit. Roscoe P Coltrane loses the rear end in hot pursuit of the Duke Boys in the General Lee. And I’m proud to share with you a card sent to me from a Dukes of Hazzard Charity Festival event that asked permission to use my artwork. 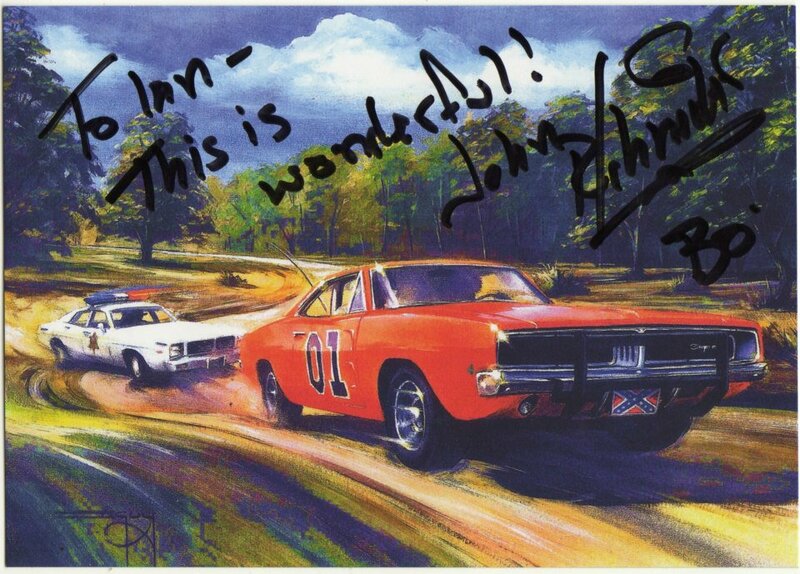 You’ll see it’s a signed message from John Schneider, ‘Bo Duke’ himself!